Don’t men look more distinguished as they age? It is true that our society is much more accepting of the aging facial appearance of men versus women. However, not all men look more attractive as they grow older. In fact, many men greatly benefit from male plastic surgery within their workplace, as it helps them stay competitive within a youthful marketplace. In addition, men tend to show signs of aging particularly around the eyes. Sagging brows and hooded eyelids can make men look sad, tired or even angry. This unwanted portrayal can be effectively corrected with a simple brow lift or blepharoplasty. While some men do look distinguished as they age, most men appear more tired and worn out. What if plastic surgery makes me look feminine? This is a common concern. However, an experienced and skilled plastic surgeon understands how to effectively address the unique signs of male aging without compromising a masculine look. In general, this involves careful consideration not to overcorrect signs of male aging such as sagging jowls and descending brows. Your male plastic surgery should be a subtle and individualized approach that rejuvenates the face without feminizing it. A mini-facelift, direct neck lift and brow lift are common procedures chosen by men. I don’t have time to take off that much work for plastic surgery. 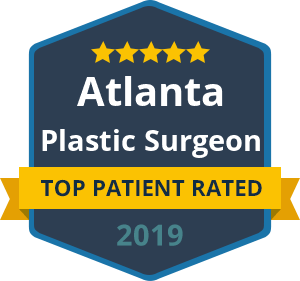 Today’s advancements in plastic surgery have truly changed patient experience, particularly when it comes to recovery time. Now, we use minimally invasive methods that are just as effective (if not more) and require less downtime than ever before. In fact, there are numerous cosmetic services that involve only a lunch-hour session. From mini facelifts and endoscopic brow lifts to a quick Botox treatment and more, you can gain a revitalized and attractive look without missing work. To learn more about male plastic surgery from Dr. Ben Talei in Beverly Hills, please contact our office. We offer male rhinoplasty, male jaw augmentation, male facelift and hair restoration surgery. We can assure you that in the hands of a skilled plastic surgery, male plastic surgery is nothing to fear! « Can Plastic Surgery Help You See Better?